Recent Recalls: How will they affect me? In recent months, a series of serious automotive recalls has hit the headlines. Two major companies, Takata and General Motors, have begun issuing recalls of millions of cars due to defective safety features. For almost ten years, these companies have avoided these potential issues and as a result, many people have died. These companies must now publicly face the consequences of their actions and take responsibility for the deaths caused by these incidents. In a recent article by Claims Journal, General Motors attorney Kenneth Feinberg stated that GM is now taking responsibility for at least 100 deaths caused by faulty ignition switches in some of their vehicles. This number is a sharp increase from the 13 documented deaths caused by the malfunctioning switches last year. Feinberg stated that each claim found to be legitimately caused by a faulty switch would begin with $1 million in compensation, and increase based on the specifics of the accident. The exact issue with the switches is that they can sometimes slip from the “on” position to the “off” position, which causes the cars to stall and disables the air bag functioning. Obviously, this poses a huge safety risk in the case of a crash, and is something that General Motors should have thoroughly investigated when the claims began almost a decade ago. They believe the car models most affected by ignition recalls are Buick, Cadillac, Chevrolet, Oldsmobile, Pontiac and Saturn. In the interest of public safety GM has created a website dedicated to information regarding the recall. To check if your car is on the list, click here. In a similar story, it was revealed last week that Takata, a major Japanese air bag production company, admitted amongst another decade of claims that their air bags are potentially defective in some vehicles. This has sparked the largest recall in American history, declaring over 33.8 million airbags malfunctioning. Specifically, they deploy too aggressively causing a metal inflation component to explode shrapnel. Currently, Takata is taking responsibility for 6 deaths and over 100 injuries caused by the air bags. However, it is too early to discern compensation. The main concern now is to address vehicles currently on the road with potentially malfunctioning air bags. To see if your vehicle is at risk, click here. Understandably, the National Highway Traffic Safety Administration has taken a lot of heat after these claims have come forth to the public eye. 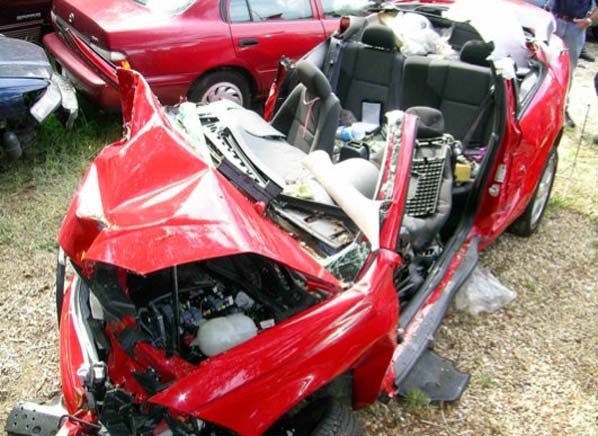 Their actions have especially been criticized due to the fact that in both cases the of General Motors and Takata, NHTSA briefly opened investigations of their functioning, but quickly closed them due to “insufficient evidence”. It is their job to bridge the gap between consumer claims and corporate action, and clearly there is room for improvement. Hopefully these grave incidents can serve as a lesson and pave the way to safer roads.